Going to London can be an amazing, life changing experience for those who have never had an opportunity to visit this excellent city. I had the opportunity to study abroad in London when I was in college, and the memories of the city are something I always cherish. Aside from the regular tourist traps like the London Bridge, St Paul’s Cathedral, and the London Eye, you have a vibrant city that you need to dive in head first to explore. To help you get the most out of London, we came up with some favorites to help you explore the different facets of the city. Visit this website to discover all the diverse shops, accommodations, and travel services available to you in London. First, you have to get to the city itself. London has two main airports: Heathrow and Gatwick. Often you will land at one and take off at the other after being shuttled by bus. This gives you the opportunity to get a great view of the surrounding countryside. Because of the fact that these airports are both about an hour outside of London, my recommendation is to take a bus into the city. See the highways into the city, and “regular” parts of town. Also, and I cannot stress this enough, if you are used to driving on the right side of the road, you will not completely freak out. I think it took me about a week to remember which way to look when crossing a street. Next, once you get to London you need to figure out how to get around. For me, this is the most exciting part, because London’s transportation systems are clean, fun, and diverse. The choices range from the old time chauffeur cabs to the famous double decker buses to the London Underground. Just Mind The Gap, and you can travel anywhere you want in the city. Check out which London Boroughs you want to visit. Use the Tube Map to figure out how to get the various boroughs. Second, you need a place to stay. 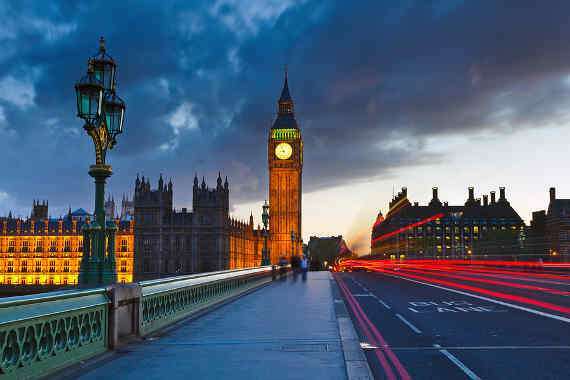 Check out different hotels, hostels, and Bed & Breakfasts for a full overview of places to stay and things to do while in London. Keep in mind that some of the hotels there can get a bit pricey, so choose your lodgings accordingly. For those interested in meeting other travelers, check out the London hostels. The crowd will be a mix of international travelers who have explored almost every nook and cranny of the city – along with spots you probably would not have imagined. This is your chance to meet fellow travelers, and find out what they liked best. Third, you need to go out and explore the city. Greater London is so full of history that you cannot walk through the streets without feeling some of that history come alive. From the ancient Roman ruins to the modern Millennium Dome, wherever you go in London you feel like travelling in time whenever you walk through the city. One of my favorite ways of connecting with the history of London was through the amazing bookstores that they have located throughout the city. Nothing beats reading a book on rainy London days. Some great bookstores to check out are The Big Green Bookshop, Halycon Books, and Southerans. All of these bookstores have antique and modern books available to purchase, or peruse if you so choose. Ooh! That rhymed! The reality is that you will probably not be able to see every part of the city, because there is so much to do and see. Therefore, you have to prioritize what is most important to you. The information above will help you figure out what is most important to you when you visit London. Whatever you decide to do, make sure you get the most out of your time in this priceless city.